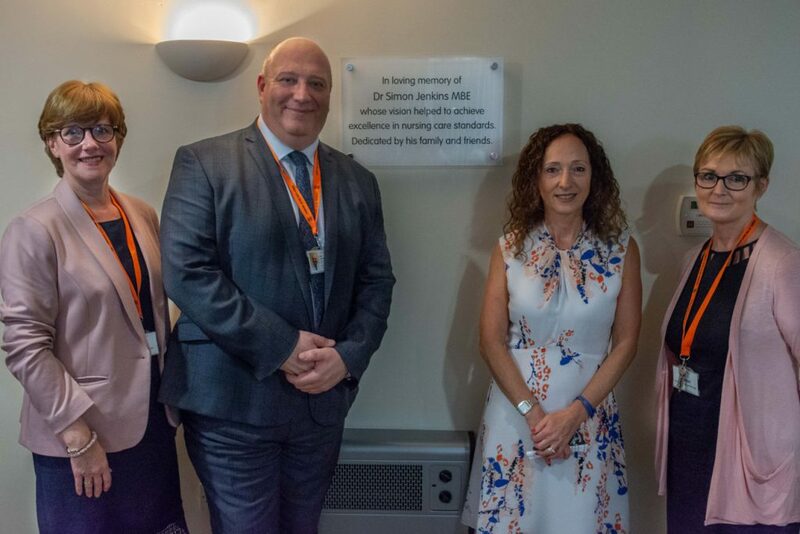 After months of planning, the newly-refurbished Dr Simon Jenkins Nursing Unit was proudly opened at Heathlands Village in September. Nestled in Eventhall House, many friends of the late Dr Jenkins and family members joined The Fed to pay tribute to a stalwart of the organisation. The late Dr Jenkins MBE, Vice-Chair of Heathlands Village, Trustee of The Fed – and latterly a much-loved resident – played a huge part in the development of The Fed. Instrumental in introducing the Gold Standard Framework – a standard measuring the quality of care provided to residents and clients in care home across the country – to Heathlands Village, Dr Jenkins spent the final part of his life being cared for by the incredible staff on our Nursing Unit. The new unit comprises of 14 bedrooms, two lounges and a dining room. A state-of-the-art assisted bathroom has also been added, turning EH2 into a modern space, suitable for caring for residents living with dementia. 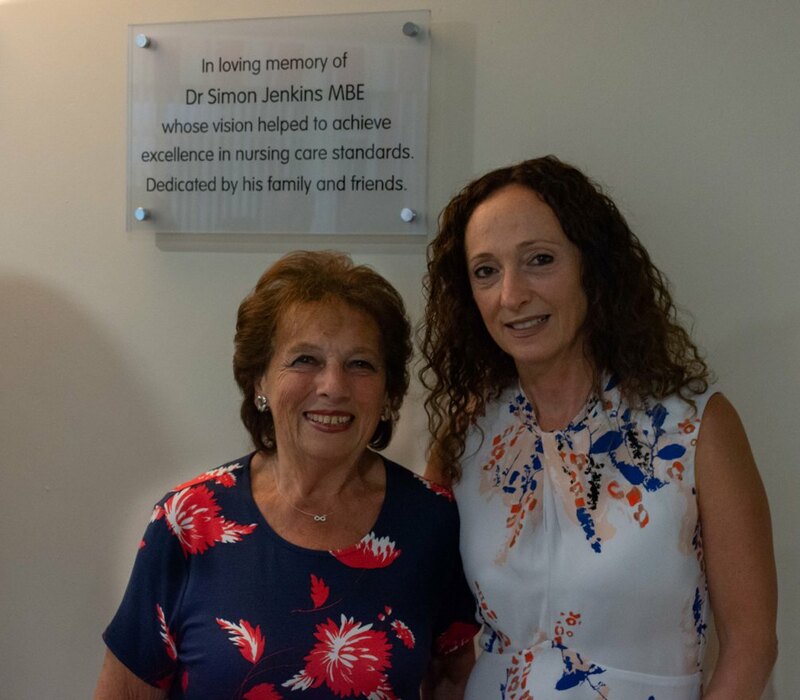 In the presence of The Fed’s Board of Trustees, Directors, and Dr Jenkin’s family and friends, Dr Joseph and Dr Jenkins’ widow Evie unveiled a plaque naming the unit in memory of their late father and husband. As The Fed continues to builds toward the future, the charity pays tribute to those who gave so much to achieve the incredible standards which benefit the community today.